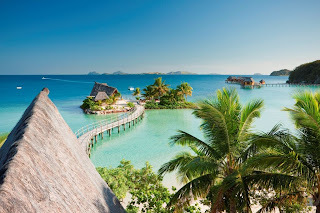 Fiji Islands - Likuliku Lagoon Resort, which opened its doors in April 2007 offering a couple's only retreat and the country's first ever over-water bures, has been awarded "Best Overseas Resort" in the prestigious annual Luxury Travel Magazine's 2010 Gold List. Group GM of Likuliku, Steve Anstey who was in Sydney to accept the award says, "We are humbled to have been acknowledged in this way again by the readers of Luxury Travel Magazine who voted us number 5 "Best Overseas Resort" in the 2009 awards and who have now honoured us with the top accolade. We look forward to welcoming many more Luxury Travel readers to the Likuliku in the not too distant future and thank them for their testaments which contributed to this award". Since opening in 2007, Likuliku has welcomed over 52,000 guests to the resort from all over the world, with the majority coming from Australia, then North American, Italy and other parts of Europe, Korea, UK, New Zealand and Japan. Likuliku has also welcomed back over 600 return guests – including several couples on their 5th stays. The overall highly personalised approach adopted at Likuliku ensures guests feel like part of a family and leave with cherished, lifetime memories vowing to return. The clearly dominant factor in the success of the guest experience at Likuliku has been the staff, whilst a unique approach to cuisine is also setting new benchmarks in Fiji dining. Australian Executive Chef Brett Kryskow (formerly of Sydney's iconic Bathers Pavilion) ensures that the majority of his ingredients are sourced locally, ensuring not only absolute freshness, but a connection to the Fijian culture through the variety of cross-cultural indigenous ingredients combined with an innovative modern South Pacific style. 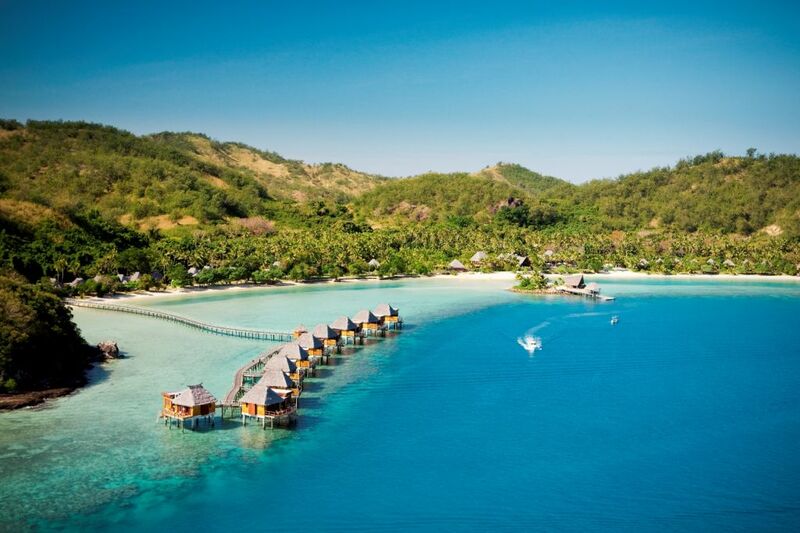 Fijian owner and Managing Director Tony Whitton says, "We believe we are filling a previously vacant niche in Fiji with a focus on all things Fijian from design to service delivery and with a unique product offering in the over-water bures. "It is clear from the early positive response to Likuliku, that we are delivering the Fijian experience we had set out to do and the key challenge remains to maintain that as we become more established – but a challenge that we relish and look forward to with confidence. "We are a Fijian company with strong ties to the Fijian land-owning community. We are proud of our ancient Fijian traditions and cultures and sharing these with our guests. We thank the readers of Luxury Travel Magazine for this recognition and our agent selling partners who have recommend Likuliku to their clients." Situated in the Mamanuca group of islands in west Fiji, Likuliku Lagoon Resort is located 25km/16miles from Nadi International Airport. 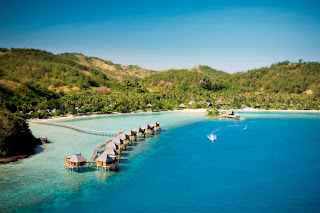 Guests can arrive at Likuliku by helicopter, seaplane private speedboat, or fast catamaran transfer. 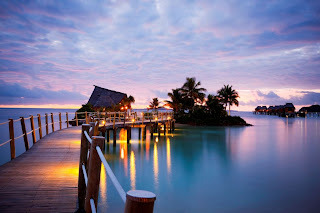 There are 45 bures, all air conditioned and offering mesmerizing views of the coral lagoon and ocean, with the over-water bures suspended over the magnificent Lagoon's reef edge. The beating heart of the resort is the Central Facility housing the magnificent Fijian canoe house designed Reception, signature restaurant, guest lounge, boutique and main bar. Guests can relax in the horizon-edge pool, rejuvenate in the gym or spa or watch the sun set at Masima Island Bar in the middle of the Lagoon in a very special piece of paradise. Prices start from AUD$407*per person per night inclusive of all meals and non-motorized activities. *approx rates only – check daily FOREX rates. Whatever the season, Honeymooners staying a minimum of 5 nights will receive a bottle of Veuve Clicquot Champagne upon arrival and a one hour Couples Massage. It's Mums Day at Spectacular Shoal Bay!